In Tuesday's blog post, I focused on new gluten-free pastas, pizza and hot entrees that were sampled at last week's Expo East products event. Today, the spotlight turns to other noteworthy items we discovered at the show. Harvest Stone Crispy Mix, from the makers of Crunchmaster crackers, is the first certified gluten-free snack mix in the market. They come in three varieties - Original, Cheese and Bold. Each mix combines five different snacks, such as pretzels, corn chips and multigrain crackers. 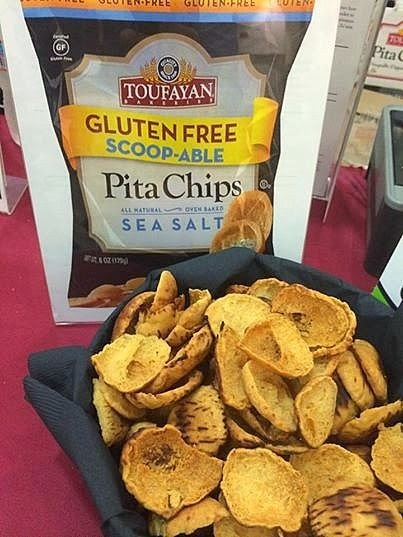 Toufayan Bakeries [store locator], whose original and flavored gluten-free wraps are sold at Wegmans and other markets, will soon be distributing gluten-free pita chips. Like the wraps, the scoopable chips are manufactured at a dedicated facility in Florida. 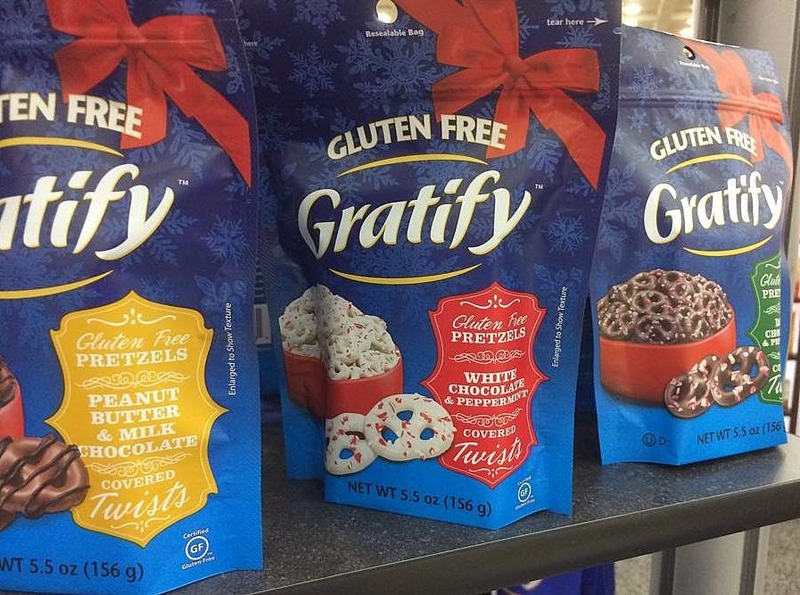 Gratify Foods announced four new varieties of covered pretzel twists: White Chocolate Peppermint (with peppermint candy flakes), Peanut Butter & Milk Chocolate, Dark Chocolate Peppermint and Dark Chocolate. The products, which are GFCO-certified, will be available in time for the winter holidays at a suggested price of $4.99. 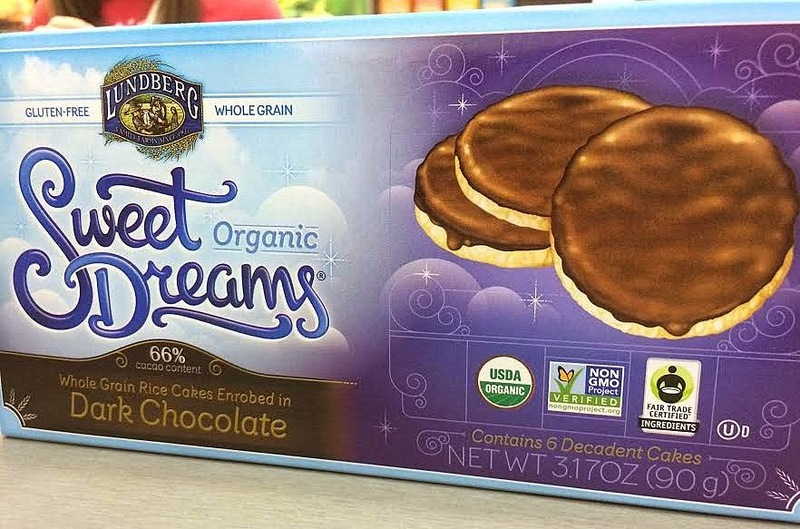 Lundberg Family Farms [store locator] debuted two new products at the show, including organic Sweet Dreams - whole grain rice cakes covered in chocolate. The snacks come in dark chocolate and milk chocolate varieties. 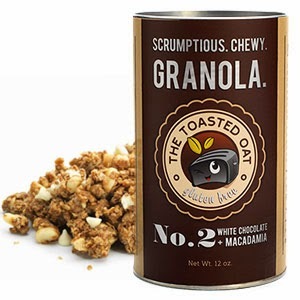 The company also sampled a variety of organic puffed grain cakes called Thin Snackers. Those flavors include 5 Grain, Brown Rice (unsalted and lightly salted) and Red Rice & Quinoa.